All Things Talent returned to Mumbai in February with panel discussions on a topic that deserves much more spotlight than it gets – “Fighting Workplace Harassment and Bullying”! There’s been an increase of 54% in the reported cases of workplace harassment in India between 2014 and 2015. The veiled evil of workplace harassment is finally in the light and people have started voicing their concerns, whether it be pay gap, sexual misconduct, reverse harassment, the challenge in expressing thoughts at the workplace, LGBT+ rights, or ageism. Employees now understand the importance of speaking up and are leaving no stone unturned to make their voice heard. Keeping this in view, and understanding the need for sensitization on the topic, we invited a panel of 5 powerful leaders to conduct this important discussion. Ruta Kulkarni – Head Talent Development at Allied Blenders and Distillers Pvt. Ltd.
Harini was also our moderator for the sessions. To start things off, we set the context with a short film created by iimjobs.com as part of our #StrongerThanFear initiative that targets similar workplace evils. This acted as the perfect precursor to the panel discussions and was warmly received. Our Evangelist Moderator decided to use the storyteller in her to weave some fictional incidents (with some very real situations) and see how the audience and panelists react. This led to some wonderful responses and interactive discussions. Harini herself shared that feeling victimized is probably the first backward step any woman can take. If the woman exudes a lot of confidence, has the courage to speak up, is able to state her problem in an articulate manner, and if there is a fourth alternative way to provide a solution to the senior management that is where she wins the battle. The first thing is to become a solution provider when you sense there could be harassment that could take place. Think four steps ahead, look at providing solutions and alternate solutions for the problems. Shirley who drew from almost 2 decades of diverse experience had an important that we make the mistake of focusing specifically on physical harassment but It truly is about all types that harassment can be related to age, race-ethnicity, culture, and gender, which is highly sensitive. As an organization, as employees and as the influencers of the organizations, if we know what kind of harassment it is and if we understand how to deal with that in organizations, then we would be able to stipulate policies and processes to make sure that our employees are aware of it. From a handler point of view, she highlighted the importance of unbiased and a calm way of dealing with the issues. Sheetal, who is a fierce advocate of being vocal about issues, highlighted some lesser discussed aspects of harassment such as belittling thoughts, isolating someone, not accepting or listening to the thoughts, the psychological behavior. Harassment has a very domino effect, it affects one’s self-confidence, work-life, social life. She also stressed that on several occasions, organizations can make the mistaking a lack of complaints as a good sign. It can be a good sign if the case remains the same, even after sensitization and training to build awareness are completed. Psychological harassment is the most under-discussed. It is about conducting yourself to show that you are not comfortable with something and that you object it. Men know how they need to back off if they are informed that they need to back off. Many times, that signal is very important from a woman. Ruta reaffirmed the meaning of harassment for her – every person has a right to self-respect and dignity. Human dignity in any form, it may be in your personal life or workplace has to be protected. Where we see a violation of human dignity or someone’s self-respect, we can categorize that as harassment. To generalize: If I am hurting someone’s dignity, I probably am getting into the mode of harassment and bullying. There is a part of bullying that also comes into play because of the cultural aspects as well, which is something that we must be mindful of. Isha highlighted the importance of a hands-on approach and experiencing things at a ground level to assess such issues. Faasos has folks working in kitchens and had she not visited some locations herself, she wouldn’t have realized the basic improvements needed. It is an organization’s responsibility that if there are women employees working, they need to make them feel comfortable such that they can come up and speak about it. She shared the leadership must build that connection with the employees. The event was concluded with some great pictures, closing remarks and great audience insights. Several questions were asked with regards to training employees, developing a sharing culture as well as the role of HR when it comes to handling some complex situations, regarding workplace harassment! A token of appreciation was felicitated to the esteemed panellists, followed by a luncheon and a great session of thorough networking. 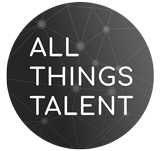 The All Things Talent Community will be back soon to continue spreading the magic across the HR Fraternity!